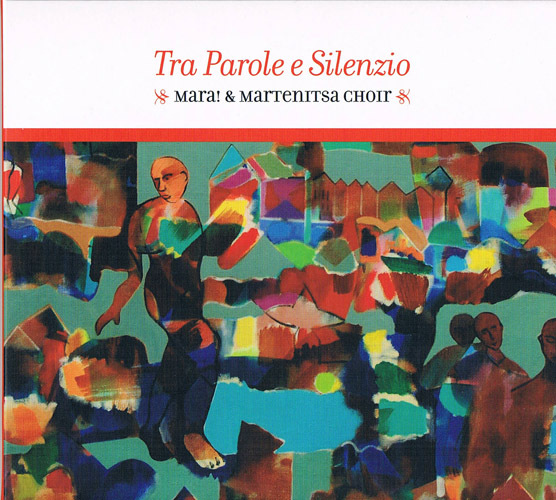 THE culmination of a project that started a dozen years ago, Tra Parole e Silenzio (Between Words and Silence) is Mara! 's most ambitious album to date. It joins together in glorious communion all arms of a cerebral band that championed world music in Australia before that nebulous term was even coined. The Balkan influence prevalent in the Sydney ensemble's previous work is represented by the Martenitsa Choir, led by the eponymous Mara Kiek, and the spine-tingling solo vocals of Silvia Entcheva, formerly of the Grammy Award-winning Bulgarian group Le Mystere Des Voix Bulgares. The songs they sing, in Italian, are based on the poignant poetry of the late human rights lawyer Edoardo Di Giovanni. These are infused with music and modern jazz expressionism composed and created by band members. Three of Australia's finest horn and woodwind players are featured in a variety of combinations with the choir and rhythm section. The opening cut, Prima Della Sera, has all the components aligned, a stinging alto sax solo from Andrew Robson over Llew Kiek's bouzouki drone following a spectacular choral stanza. In the reflective Sorella that abuts, Sandy Evans's expressive soprano sax engages in a dialogue with Mara Kiek's crystalline singing, then solos. The impressive sonority and harmony of Bulgarian-style choral singing, as exquisitely channelled by the Martenitsa Choir, is allowed full vent in Partii Ch'era Il Giorno Di Natale. In the stately Se Con Fervide Mani, Paul Cutlan's B flat clarinet works wonderfully with choir and Entcheva's angelic soloing; in La Nostra Notte alone in a break of breathtaking beauty. The instrumental Band Partii has clarinet in delightful unison with soprano sax. Double bassist Steve Elphick goes it alone on the short but sweet Poesia Senza Parole, after contributing well-constructed intros to Arcana and Amo Di Te. In Pastorale, alto and tenor sax duet maniacally in the wake of a majestic a cappella choral section. Il Ricordo has bouzouki and tapan (double-headed Macedonian drum) before alto and tenor sax merge in blissful harmony. Mara! deserve plaudits for pushing the parameters of acoustic fusion and bringing together poetry and elements of jazz, folk and world music in a seamless and sensual union. They may have to take their exotic, esoteric soundscape to Europe to be accorded full recognition.